Raise your hand if you can relate: It's 10 p.m. on a Monday, and as you lie in bed nursing that saving-grace bowl of leftover Italian (a cruel, fleeting reminder of weekend bliss), the last thing you want to do is drag yourself to the bathroom and wipe the day's grime off your sensitive skin. What's ironic, however, is we typically spend the last few hours of the workday obsessively anticipating that very ritual. Beauty editors aren't immune, and by the time we've completed the last few to-dos, our complexion feels greasy, our lips thirsty, and our eyes admittedly twitchy. The goal: Get that makeup off ASAP. Yet, T-minus four hours later, it seems like an impossible ask. Blame it on the fight of traffic (it's basically a sport here in L.A.) or just the deep release of (finally) falling into bed, but some nights our nightly skincare ritual just seems too much to handle. However, it's hard to ignore what you've been trained to fear, and if there's one beauty commandment that feels absolutely criminal to break, it's forgoing your nightly face wash. Thankfully, as with most beauty-related conundrums, there's a pacifying middle ground. While some have condemned these blissfully convenient sheets for the inevitable pulling and tugging motion, we think it comes down to the formulation. After all, if you have a wipe truly up to the task, pulling should be minimal. Plus, most options on today's market offer ingredient lists that rival even the most decadent of face washes. So, with sensitive skin in mind, we compiled a list of must-have makeup wipes we'll forever trust with our complexions. Keep reading for our list of the best makeup remover wipes for sensitive skin. In a perfect world, we'd end each and every day with a luxe trip to the spa for a much-needed skin detox. But what with events, impending deadlines, and let's be honest, the hypnotizing call of our duvet covers, well, c'est la vie. 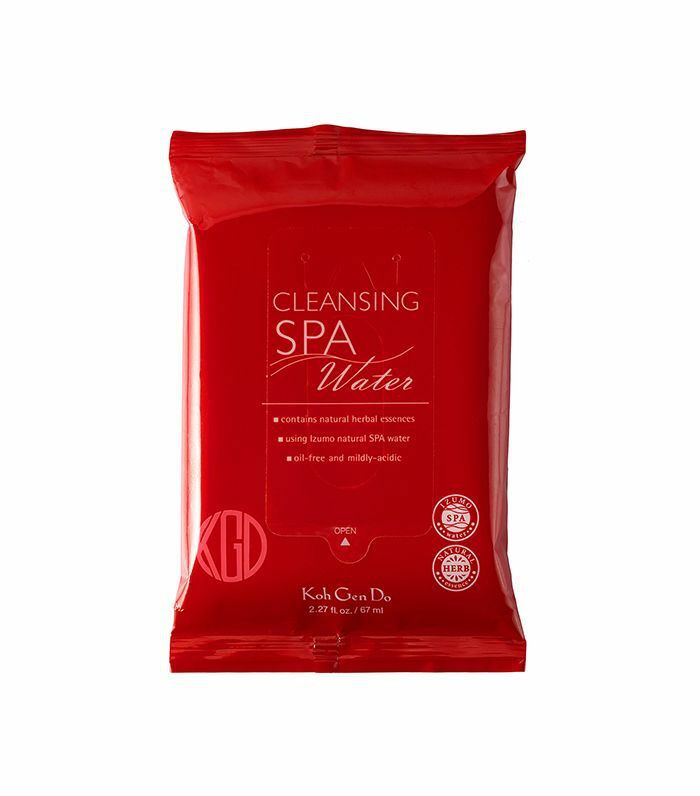 As a happy medium, we try to keep our nightly skincare ritual as soothing as possible, and Koh Gen Do's aptly named makeup wipes are a winning first step—especially if you have sensitive skin. Not only is each wipe made using certified organic Japanese cotton, they're also enriched with mineral-infused spa water and essential herbs like rosemary, sage, ginger, and lavender. We've already sung coconut oil's praises for its much-appreciated (and borderline miraculous) skin benefits, so consider RMS's individually packaged makeup remover wipes the best of both worlds. Carefully formulated with certified organic coconut oil (it's the one and only ingredient), you can get the soothing, skin-cleansing benefits of coconut oil, sans the somewhat goopy repercussions of a jar. Plus, if you have sensitive skin, a simple, preferably organic, ingredient list is paramount. Not to break the fourth wall here, but I have to break the fourth wall here. Without a doubt, these calming cloths from Ole Henriksen are my number one pick when it comes to caring for my super-sensitive skin. 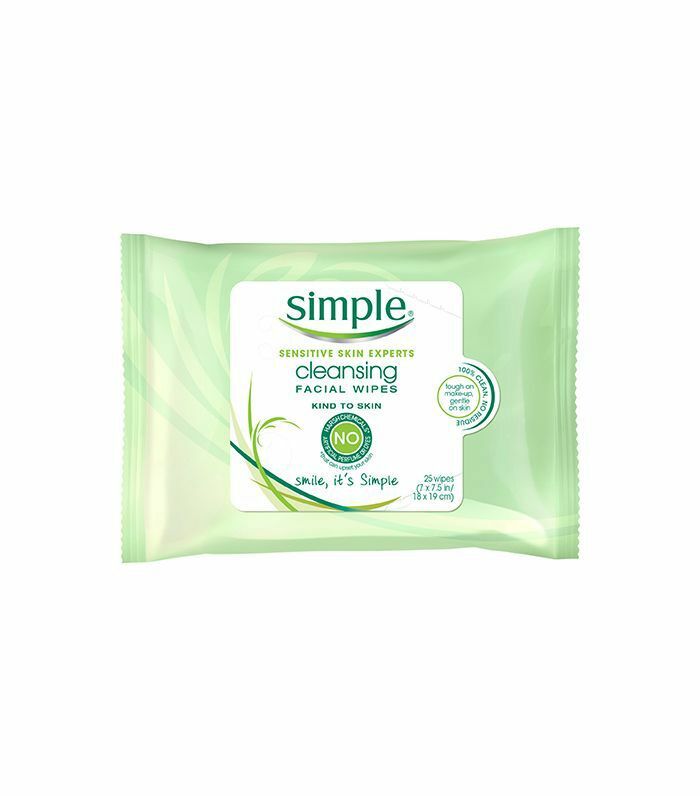 Coming from someone who has tested almost every makeup removing wipe on the market, not only are they great for complexions prone to irritation, they're also incredibly efficient when it comes to erasing the day in a timely, painless manner. The cloths smell amazing, and thanks to a powerful blend of vitamins (B5, C, and E), redness vanishes instantaneously. If you wish to make a Byrdie editor's day, present her with anything Ogee, as we're currently very much enamored with the relatively new and still under-the-radar organic skincare brand. At $20, the price is a bit steep as far as makeup remover wipes go, but if you have sensitive skin, it's hard to put a price on a comfortable, glowing complexion. Plus, they're excellent multitaskers: moisturizing, cleansing, exfoliating, and yes, makeup removing. Naturally derived alpha hydroxy acids (AHAs) reduce sebum and speed up cell turnover while a soothing combination of jojoba oil, aloe vera, and oat extract preserve skin's hydration. Makeup remover wipes have gotten a bad rap for encouraging the pulling and tugging of our facial skin—an epic faux pas in the skincare world. But to be honest, there's nothing like convenience after an extra-long work day or one too many tequila sodas. 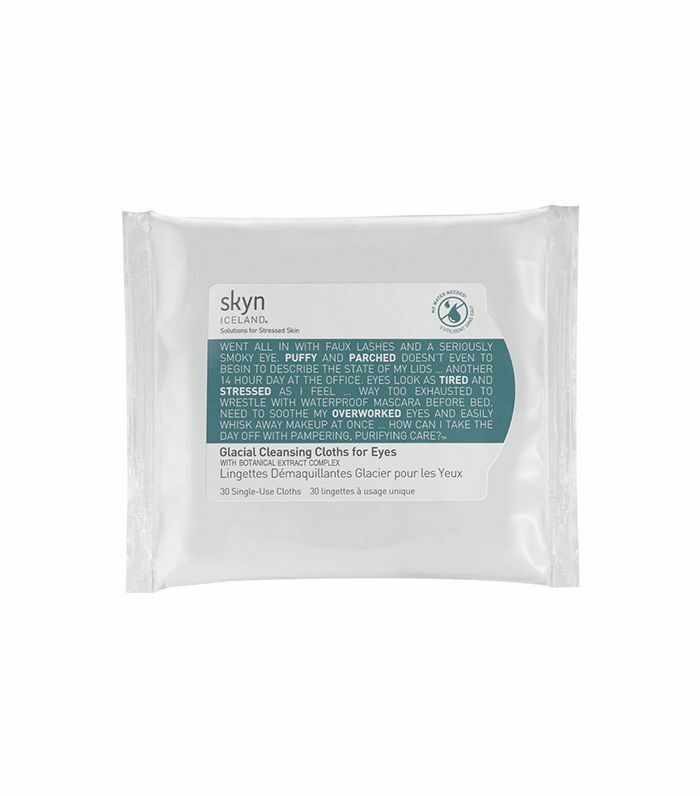 To minimize late-night labor with maximum results, try this foaming version from Skyn Iceland. They (literally) nix all traces of foundation in a single swipe and keep sensitive skin in line, thanks to calming ingredients like cucumber and arctic cloudberries. A tip: They can sting your eyes, so use these for your mascara removal, instead. Together, they're the ultimate power couple. 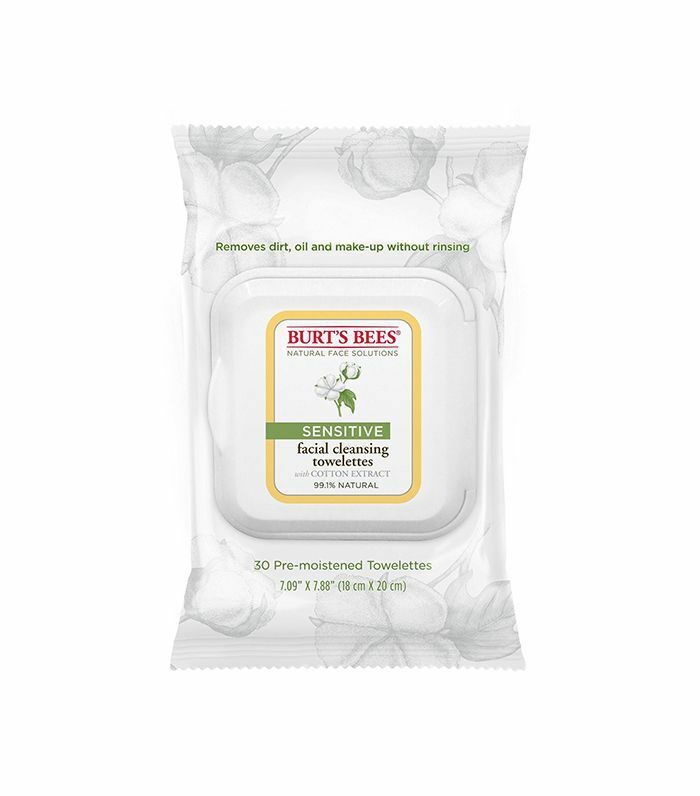 Specifically formulated for sensitive skin, Burt's Bees does it again with this extra-nurturing addition to its already ample makeup wipe lineup. However, we're especially partial to these for the skin-saving cotton and rice extract in addition to the satisfyingly clean ingredient list. Read: fragrance-free, hypoallergenic, allergy-tested, and dermatologist-tested. Though debatable in our diet, soy happens to look great on our skin. In fact, experts (as in industry-leading derms) recommend it topically. 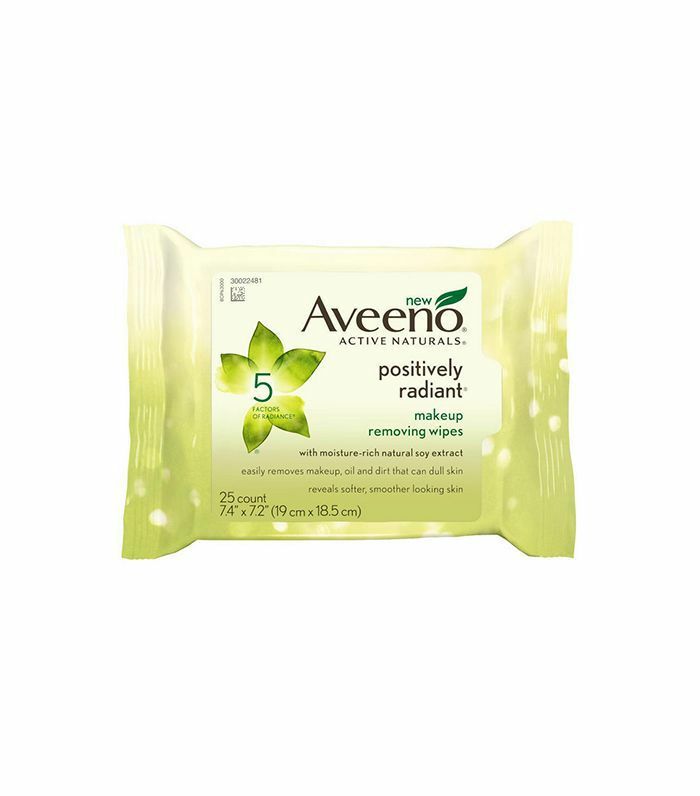 To get your daily quota, we love these Aveeno wipes. Not only are they gentle, but they're oil-free and non-comedogenic (bye, breakouts), and they fearlessly confront even the most stubborn waterproof mascara and eyeliner. Plus, the name does the formula justice. Our sensitive skin always looks more radiant and even post-swipe. Intensely hydrating without a trace of greasy aftermath, these dermatologically tested cloths are great if you suffer from extra-sensitive skin. Not only do they remove makeup almost effortlessly, they contain three different ceramides and a quenching dose of hyaluronic acid—exactly what the doctor orders come fall. 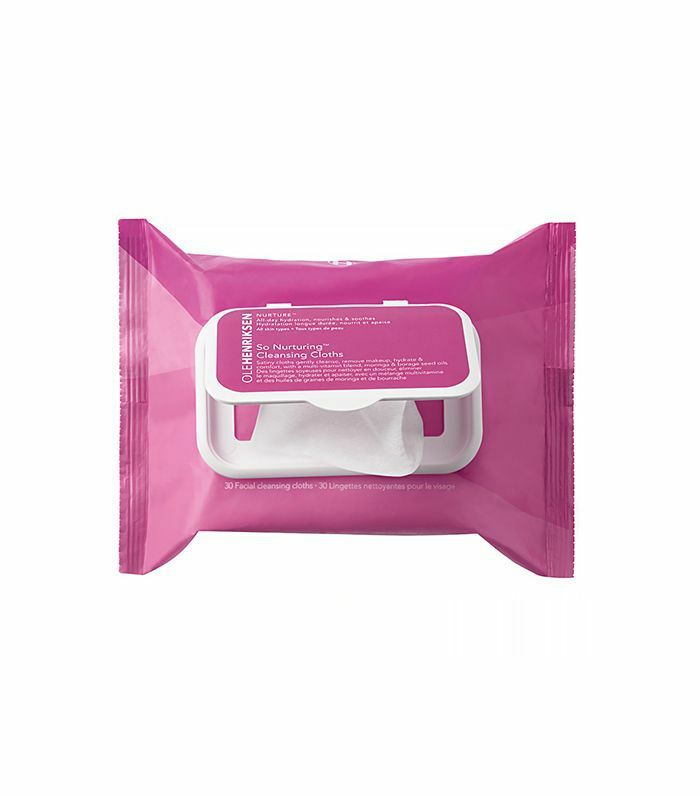 A favorite among celebrities, even Mrs. Kardashian West, Neutrogena's makeup wipes have an undeniably strong following—and with good reason. Not only do they work (because at 10:30 p.m., we're not playing), they also have a variety of different formulations for every kind of skin concern. 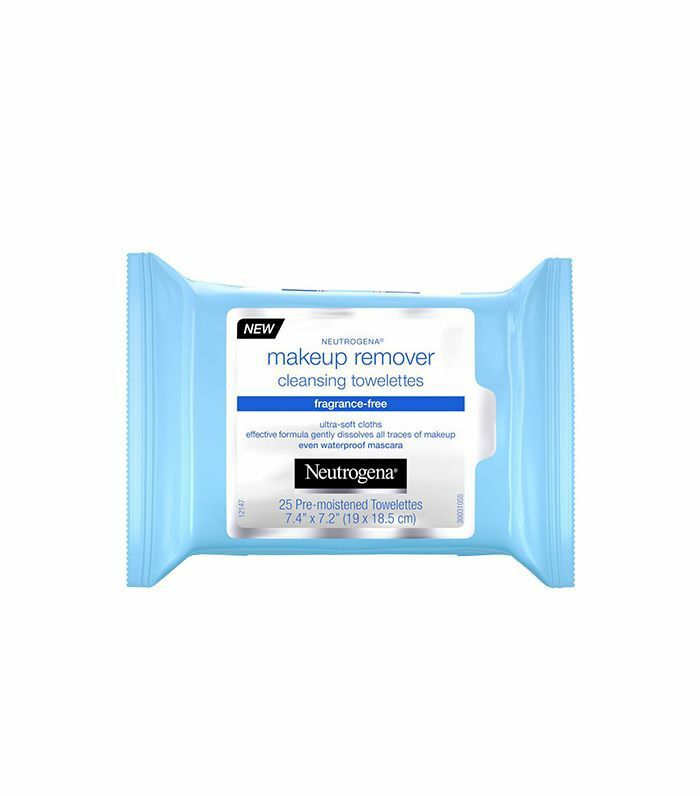 So if the sheer thought of harsh alcohols and fragrances makes your sensitive skin break out in hives, consider this fragrance-free option from Neutrogena. They're ophthalmologist-, dermatologist-, and allergy-tested. With a reputation steeped in history, we'd be remiss not to include one of Pond's cult classic makeup removing wipes. 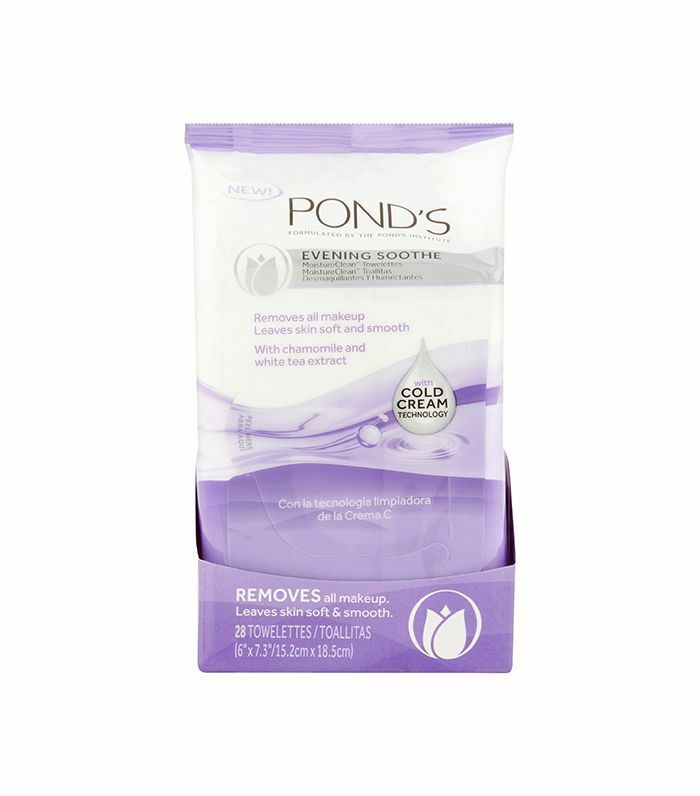 Expertly formulated with the iconic cold cream originally invented by pharmacist Theron T. Pond in 1846, the brand's Evening Soothe cloths are a skin-refreshing answer post-workout or workday. Chamomile and white tea extract smell decadent while gently eradicating every last morsel of makeup. As a brand, Simple is dedicated to sensitive skin. Thus, it's no surprise that its beloved cleansing cloths made our final cut. 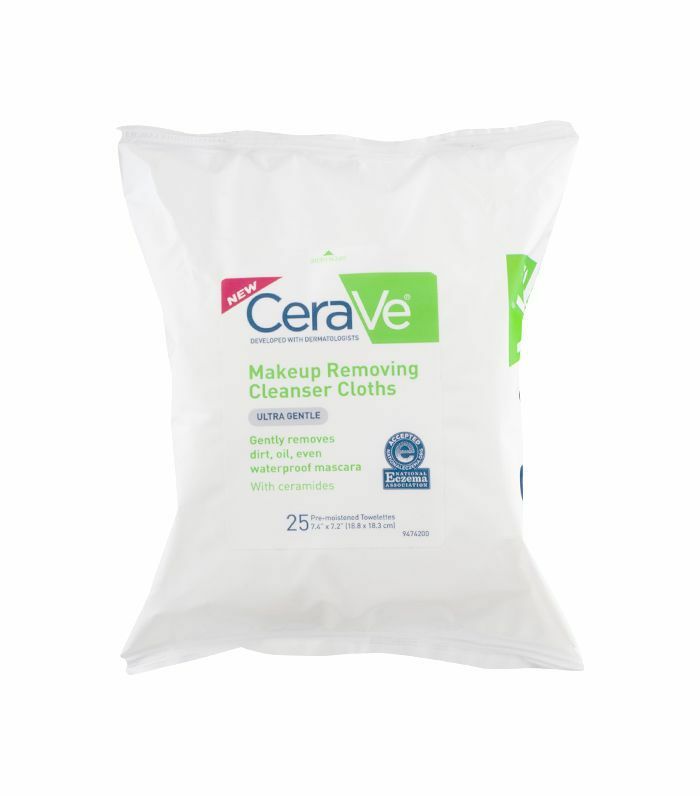 With the absence of irritants, alcohols, and chemicals, and the presence of skin-improving ingredients like vitamin B5, these makeup remover wipes are one of our drugstore must-haves and tackle our budge-proof smoky eye sans struggle. 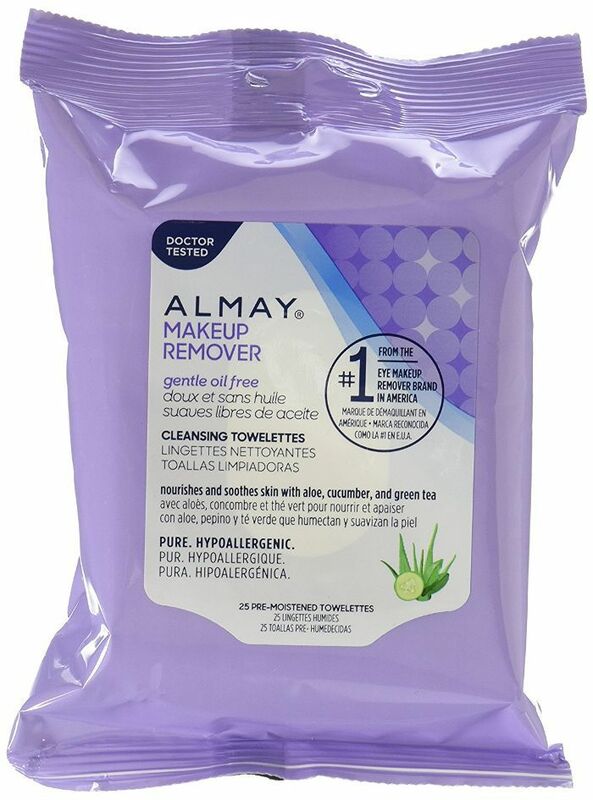 Oil-free and carefully formulated to be especially gentle on even the most sensitive skin, these makeup remover wipes from Almay are one of the best—and they never leave your skin red or irritated post-swipe. Plus, a botanical infusion of aloe, cucumber, and green tea leaves complexions refreshed, moisturized, and thoroughly nourished. Next up: The dermatologist-approved ways to include coconut oil in your skincare routine.